"Value for money & Great Location." Have a question for Koptown Hotel Kuala Lumpur? "Great access to the venue by car." "The hotel is just nice"
"Affordable at a simplicity expectation." 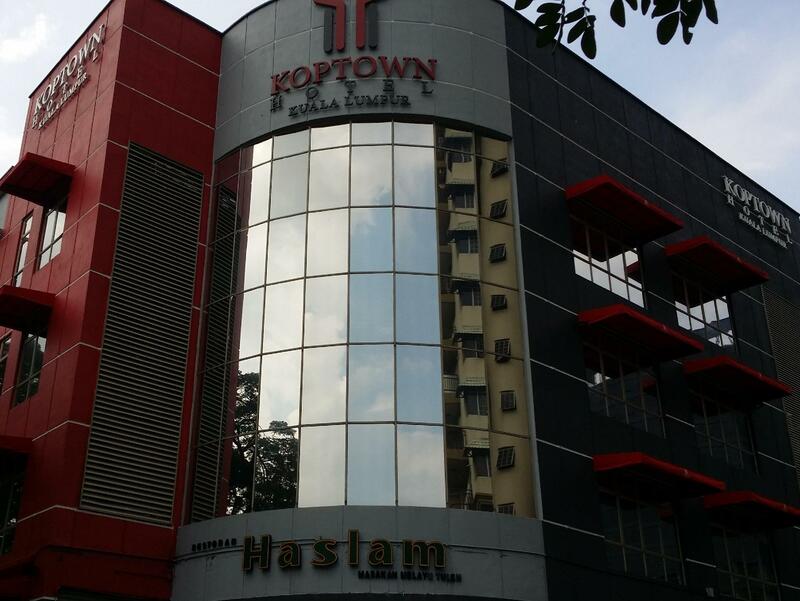 Visit the Koptown Hotel Kuala Lumpur and take in all that Kuala Lumpur has to offer. The rooms here overlook the city for picturesque views of Kuala Lumpur. This hotel is close to Bangsar Sports Complex, Ramadhan Bazaars, Bangsar Village 2 Shopping Mall, Bangsar Village, and Yoga 2 Health. It provides safety deposit boxes, allowing you to securely store your valuable possessions. 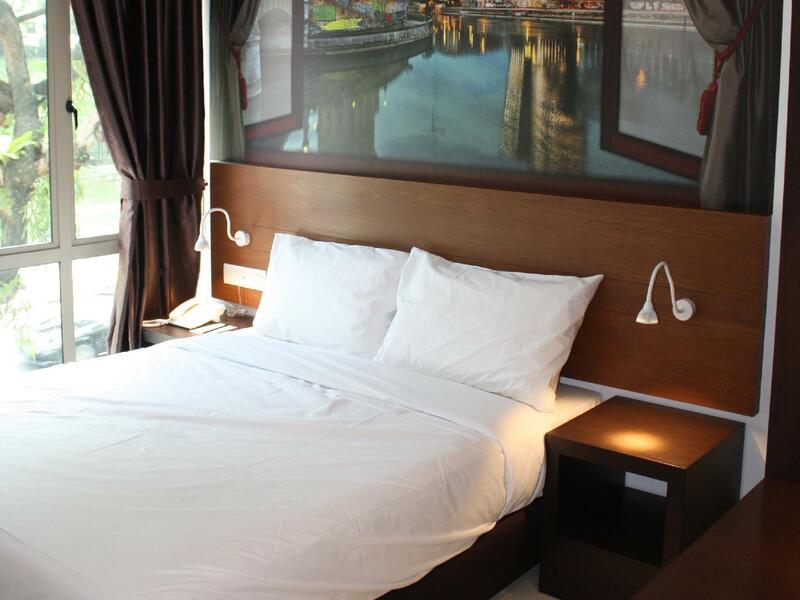 This Kuala Lumpur hotel features air conditioning, so your stay will be comfortable. There's free Wi-Fi in all rooms, as well as Wi-Fi in common areas, connecting you to the internet so you don't need to purchase a local sim card or spend on roaming and data costs. 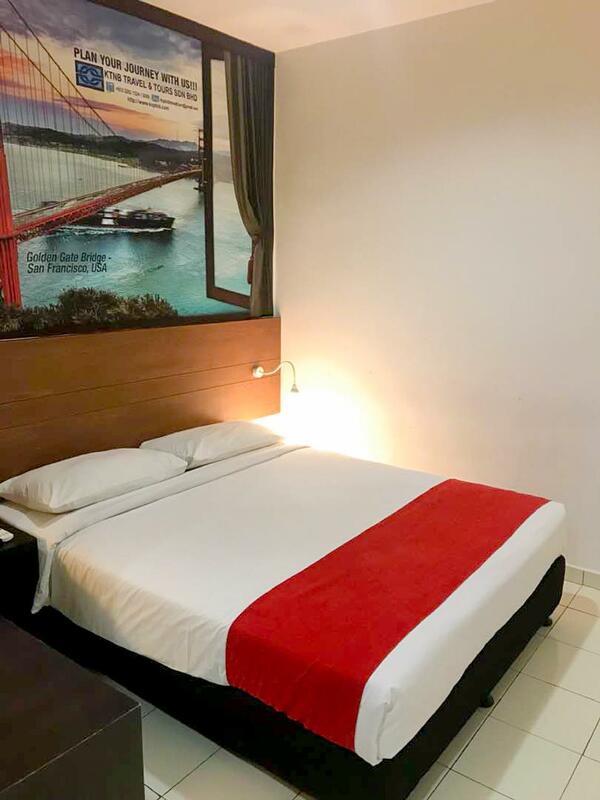 The Koptown Hotel Kuala Lumpur offers a variety of useful services, which include a concierge, luggage storage, as well as daily housekeeping. The front desk is open around the clock, ensuring that there is always a member of staff behind the desk to help you whenever you may need. This hotel offers a 24-hour check in and check out service, enabling you to arrive at whatever time is most convenient for you. With public transportation close by, you can get anywhere you want to go with ease. The nearest airports are Sultan Abdul Aziz Shah Airport (SZB) and Kuala Lumpur International Airport (KUL), which are 12.7 km and 43.1 km away. "The location is very good, the price is affordable and the f..."
The staffs was friendly. The location is strategic and behind the hotel is Putra LRT station. Food also easy to get because there are lots of restaurant. The only problem is, cark park. Thank you Koptown Hotel. Was there around 5:30am. Staff was very helpful in ensuring that I have a good rest before a hectic work day. Room's cleanliness is satisfactory. Location is ok, just 2-3 minutes walk from Kerinchi MRT station. I am very satisfied with superior room which I stayed for 5 day. The housekeeper is a very nice lady. She always clean the room, changed towels and top up coffee and sugar. This hotel is also Muslim-friendly as they prepare prayer mat in the room. Stay for 3 days , 1) when hksp makeup the room knock the door and talk like gangster!! 2)when want to close or open the door sound got noisy. 3)heater also got sound , Spoken with FO , chnge room for 2 time, second room bedsheet got stain, i dont understand how they do training for staff..no standard just like budget hotel at bukit bintang .. and the value of money not audit . Need to improve . I booked for a deluxe queen room, the air-con compressor are very noisy, I called receptionist and request for change to another room, and came to know they have no more deluxe queen room, only have twin bed room. I change to twin bed room, it's very bad smoke smell (i booked for non-smoking room), and very bad sound proof, i even can hear clearly other guest talk inside my neighbor room, and even they open and close their door, also makes me awake from my sleep. Please improve. Baby cockroach around the shower room, please improve. Everything was good, except that it could be a little hard to find parking spot near this hotel, very limited. Pros: Nice location. 2 restaurants near the hotel, one is just beside the hotel and another one is just about a couple steps away. LRT station is just within walking distance. Room is clean. Wifi connection is good. TV got fox movie channel unlike other budget hotel that usually serve ordinary tv channels. Cons: Some of the rooms are really narrow (difficult for muslim to perform solat). Shower head always fall off the holder when we use maximum water stream regardless of any room we stayed. Staffs should be trained to make guests feel welcomed. Improvements can be made in increasing the cleanliness. The cupboard was dusty during check in & throughout our 7 days stay. the water in the bathroom doesn't run out and the area gets flooded easily. the staff seems to be stingy when we requested for extra drinking water even though we requested them to charge us for the extra bottles. they asked us to go fill the empty bottles with water from the water cooler. not sure why they were very adamant on not providing extra water bottles towards the end of our stay. the channels in the TV are very limited. Only malay based channels are provided. Malaysia is a multiracial country, a hotel that is situated in the centre of Kuala Lumpur should have the courtesy to have at least a channel in their hotel TV catering for indians and chinese respectively. When they could provide Astro Ria channel. I believe they can also provide Astro vaanavil and wah lai toi... the lift is dark and doesn't have sufficient lighting. Improvements should be made. Good if you are for the business. There is Haslam Restaurant next door. There is lift although theb premise is only 4 storey. Basic facilities like kettle, toilettes and water bottle. Good for the price. I booked the hotel to stay the night for work next morning, just to sleep. Basic room, clean but the cigarette smell is a discomfort. I was too sleepy to complain and I checked out early in the morning. It was OK for the price. Car park is not provided. Cannot open the door using the card. Go down and asked to re issue a new card. Still not working. Got to down again. roughly ok..but my room doesnt have tv remote..but i dont ask for it.never mind..coz i felt so tired and went sleep early. I had a pleasant stay here. Food is easy to find as there are two restaurants below the hotel.